Thank you to everyone who took part in helping us to raise money for the much needed adaptation works on #GLHxmasjumperday. We hope you had a fun day! With your support we have raised over £350. We will keep you updated on how your money has made a difference to the lives of people with a learning disability. Vicky, a Golden Lane Housing tenant has enjoyed choosing the winners from the day, congratulations to everyone. 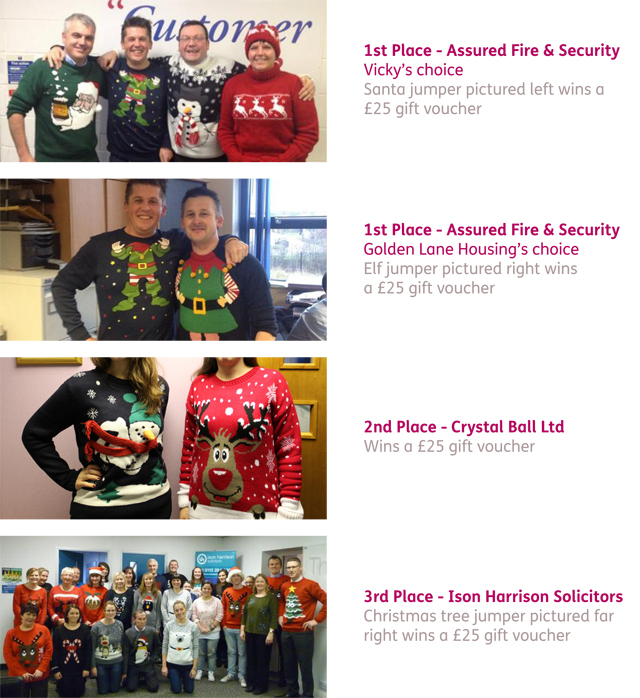 You can download some of the #GLHxmasjumperday photos from the event. We hope you will join us in 2014 for another festive fundraiser, next year it’s going to be Christmas hats. We would like to thank you all once again and wish you a Merry Christmas and a Happy New Year.